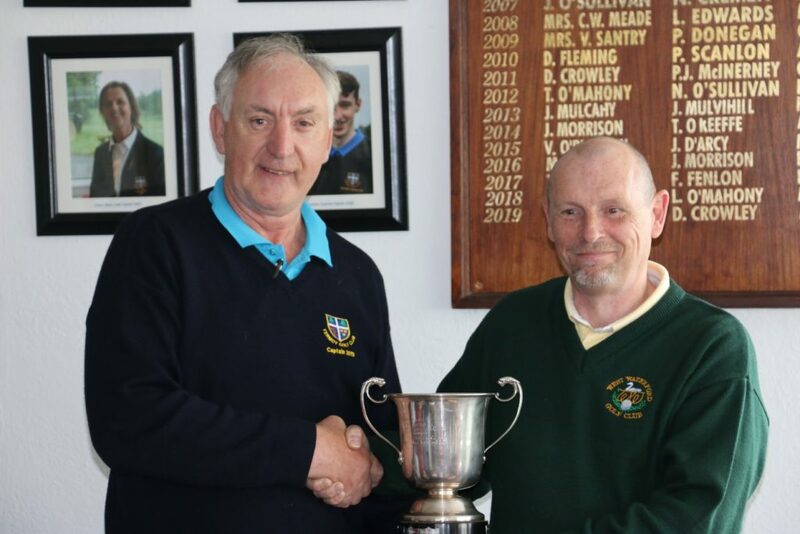 A very exciting match in the South East League final between West Waterford and East Cork took place at Fermoy Golf Club on Sunday April 7th. Excellent weather conditions saw West Waterford emerge as worthy winners. In picture: Denis Crowley, Fermoy Men’s Captain, presenting the trophy to Stephen Spillane, West Waterford manager.